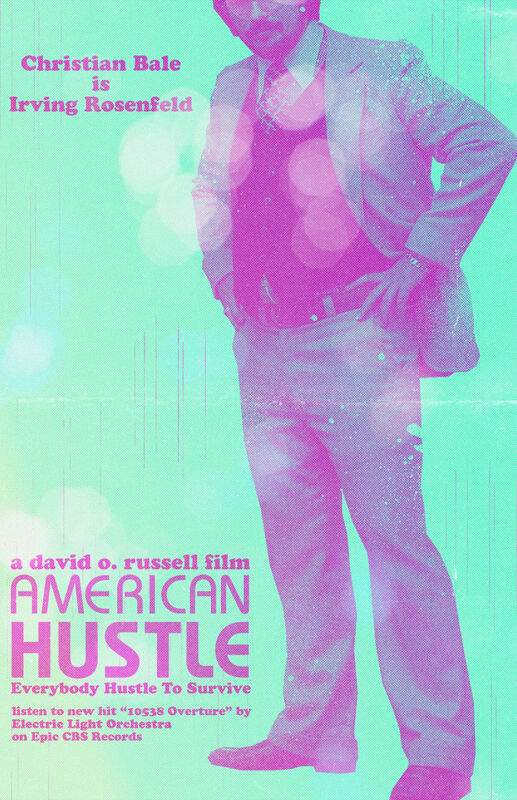 Number two in a series of five custom movie posters for David O. Russell’s American Hustle based on the last days of disco, duo-tones and halftones for one of the best movies of 2013. 11 X 17 inches (27.94 X 43.18 cms) at 300dpi. Cheers and enjoy..